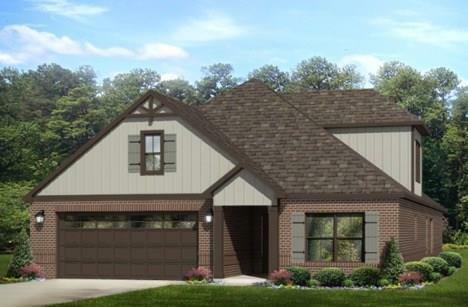 Showcase quality, all on one level, the "Benton" and its irresistible layout offer a great plan for those who need less square footage, but uncompromising use of space. Charming foyer with rich hardwood flooring that extends to the dining/great room area is sure to make a great first impression on guests while providing comfort and durability. The breakfast room joined to the fabulous kitchen makes for an additional seating area for guests or family. Stunning ceilings, raised to appeal, give a sense of grand height and masterful detail. 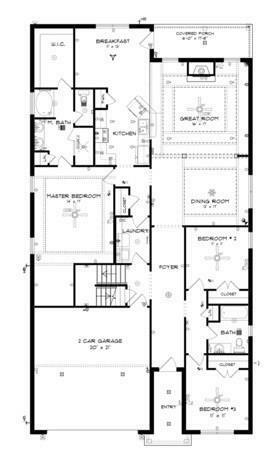 A private master suite is strategically placed away from the other sleeping quarters for optimum privacy. 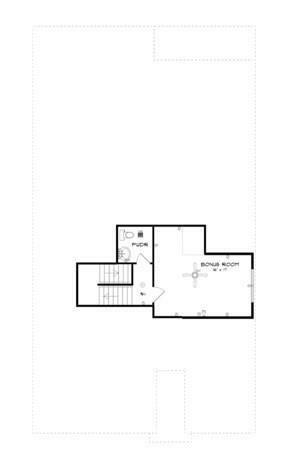 In addition to the two bedrooms, there is an upstairs bonus room with half bath that would work well as an entertainment room or office space with its open yet secluded location. Retreat to the rear covered patio, offering shade and a peaceful setting. Listing provided courtesy of Fincher Coffin Helms Team of Fincher-Coffin Real Estate Llc.